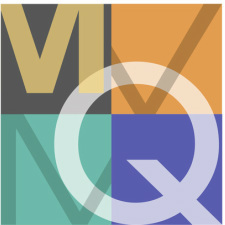 Note: The MVMQG has outgrown its space in the conference room at the West Tisbury. Together, Founding Members must make important decisions about when the Guild will meet beginning in October. We have excellent options. On September 10th, in order to meet the needs of as many members as possible, Founding Members will be asked to complete an online survey regarding when the Guild will meet. We have OPEN STUDIO TIME at the OB Library from 12:30 to 3:30pm! Bring a project to work on -- or help with an iSpy quilt, our first charity quilt project. Click HERE to learn more about the iSpy project. Bring a project you are working on -- or help us cut fabric squares for our first charity quilt project -- iSpy quilts! If you have child-friendly fabric to donate, please bring it. Click HERE to see the iSpy timeline and/or click HERE to see the patterns. That said, we know that it is summer, and it is not possible for many Members to participate in Monday evening gatherings. Our weekly, drop-in 'Gatherings' will transition to weekly "Open Quilting Studios" at the West Tisbury Library. Members and potential members will have the space and time (a two hour block of time!) to work on independent quilt projects and/or share, assist, get input, contribute, work and learn together. From September through May, we have reserved the Project Room of the Oak Bluffs Library from 12:30 to 3:30 pm. Dates: September 6, October 4, November 1, December 6, January 3, February 7, March 7, April 4, and May 2. As we evolve, we will continue to offer workshops on specific topics of interest. Click HERE for the list of topics suggested by Founding Members. Our first 'official' Monthly Business Meeting will happen at some point in the late fall.